FranConnect's 2018 Sales Index, an analysis of performance data from 462 franchisors, shows that many leads that enter the top of the franchising funnel never receive a response at all, and those that do are often contacted too late. Responding to new leads in a timely manner is critical in engaging a candidate and potentially closing a deal. How critical is response time? 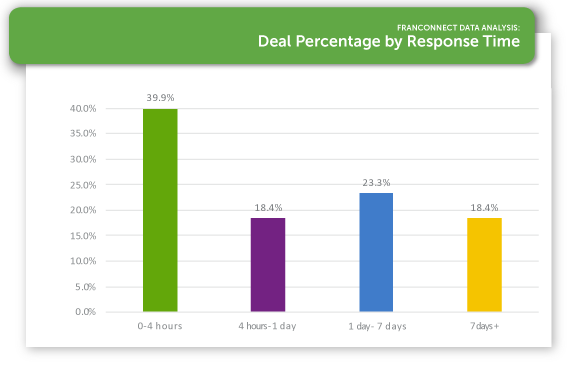 For leads that closed, 39% received a response within 4 hours of initial contact. This percentage drops to 18% for leads that are contacted from longer than 4 hours and up to one day. A cornerstone of good funnel management is getting the first follow-up step right every time. Respond to leads, implement a consistent qualification process, and develop a positive candidate experience, starting with the first phone call. The gold standard for responding to an inquiry is within 30-minutes. At this point your franchise is top-of-mind and the prospective lead is sitting by their phone or laptop. However, only 12.9% of franchisors conduct initial outreach within this time-frame. Our data indicates that only 1.9% of franchisors follow up within two-to-four hours while a further 16.9% are contacted in the first 24-hours. In the meantime, the potential franchise buyer is placing inquiries to a number of franchise brands, all competing for their attention. The onus is on you to ascertain why the sales team is unable to contact leads on a timely basis and to immediately put measures in place to improve average response times. Tip: Start by setting up an automated reply set up for inbound email inquiries. This will confirm that you have received the inquiry and sets expectations for follow up. In addition, regularly review data about when leads flow into your system, and act accordingly. For example, if a sizable number of calls come in during the evening or on weekends, have staff on hand during these times or employ an answering service to field these calls. This type of attention shows potential buyers that they are valued and sets the standard for the quality of support they will receive if they become a franchisee. For more details, and more than 40 other powerful data-driven insights and benchmarks for growth, get your copy of the 2018 Franchise Sales Index from FranConnect. 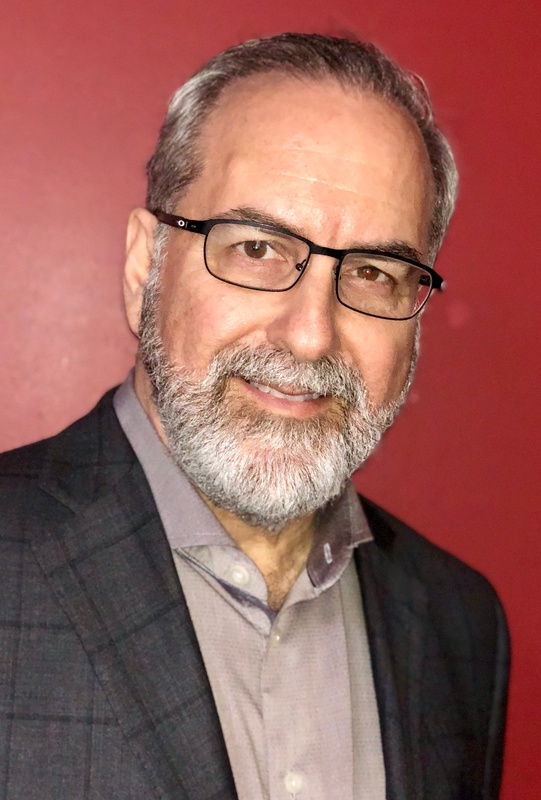 Keith Gerson, President of Franchise Operations & CMO at FranConnect , brings 40+ years of executive level expertise as a passionate and driven Franchisor and Franchisee with a proven track-record in building rapid-growth, and highly profitable franchise organizations. Over the last 6 years, Keith has been able to work closely with many Executive Boards and Leadership Teams that are part of FranConnect’s portfolio of 700+ brands and 140,00 locations. His focus is on helping franchisors to get to their desired future state in sales, operations, communications and engagement. Recognized in franchising circles for his extensive leadership experience, and ability to drive execution, Keith is a highly rated key-note speaker and has had the rare opportunity to have created several leading franchise systems from their very conception through launch and sustained growth taking these systems from micro-emerging status to that of successful enterprise level brands.